Win free tickets to see the Five Maids Of Fadaka. The Five Maids of Fadaka is 6 Days away. Thespian Family Theatre is giving away two tickets this week to their wonderful followers. Here's what you have to do to win the ticket and be at the première this weekend. Take a picture of yourself, dressed up in Nigerian/Traditional attire. 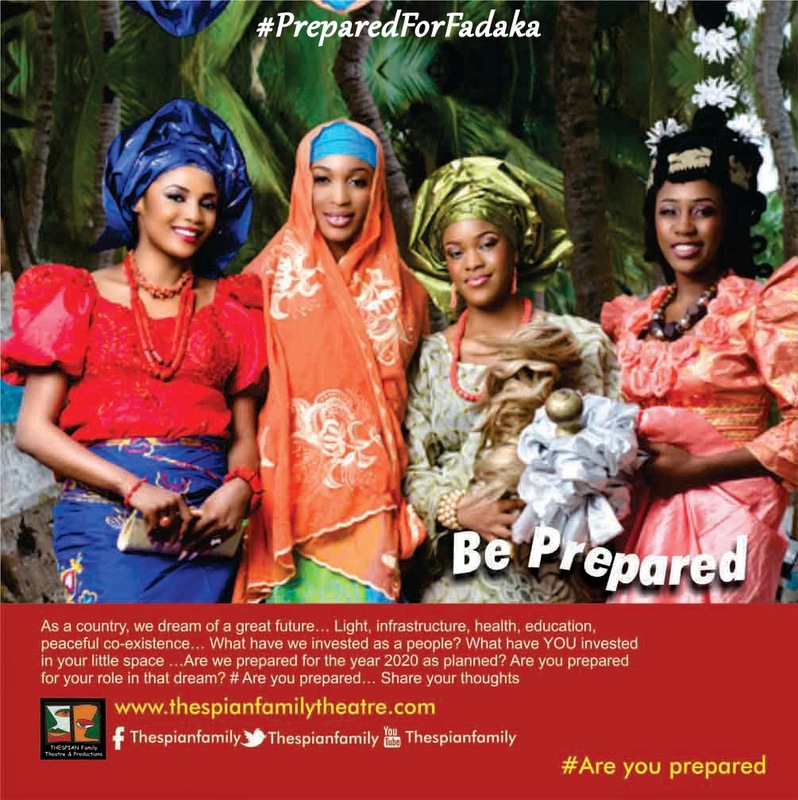 For Twitter followers: Use the hashtag #PreparedForFadaka and mention @ThespianFamily. If your picture gets the most Retweets by Friday, 18th, 2014. You'll most definitely be seeing the Five Maids of Fadaka Live at Muson Centre. For Facebook fans: Take a picture of yourself dressed up in Nigerian/Traditional attire. Mail it to thespianfamilytheatre@gmail.com with the subject ; "Prepared for Fadaka" and your Facebook ID. Your picture will be uploaded on their Facebook page (facebook.com/thespianfamily). The picture with the most likes by Friday, 18th, 2014. Will be declared winner of the free ticket. Winners will not only win free tickets, they'll get branded items from Thespian Family Theatre, as well as meet their favourite stars (Gloria Young, Nobert Young, Iyke Okechukwu, Bimbo Manuel, Carol King and many more ). Please note that for you to be eligible for this competition, you must be following Thespian Family on twitter (@ThespianFamily ) or like their facebook page (facebook.com/thespianfamily). Also, please ensure that your a decently dressed. Be social with Thespian Family Theatre on Instagram: @ThespianFamily and YouTube: ThespianFamTheatre.